The trace element selenium is found in many dietary components, from grains to Brazil nuts. In humans, this chalcogen is essential for many physiological processes. A couple of years ago, selenoneine, a rather unusual seleno-histidine derivative, has been isolated from tuna. Whilst there is a limited number of other naturally occurring small selenium compounds, large quantities of selenoneine can be generated in genetically engineered microorganisms and via chemical synthesis. Due to a rare selenol/selenone tautomerism, this compound exhibits unique redox properties and promising biological activities, which range of traditional antioxidant action to the interaction and subsequent protection of metal ions. Selenoneine may indeed provide a promising lead for a new generation of selenium supplements and chemopreventive agents. 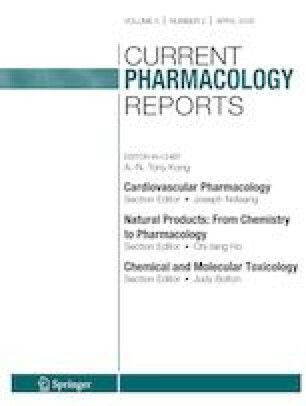 The authors express special thanks to Ken Rory, Ashfiq Al-Fakhim, Rosa Ponte, Vulgar Prol, Trafique Basel and many other colleagues of the “Academiacs International” (www.academiacs.eu) and “Pharmasophy” networks for the helpful discussions and inspiration. Support was provided by the INTERREG VA GR programme (BIOVAL, Grant No. 4-09-21), the NutRedOx (Cost project CA16112), the “Landesforschungsförderungsprogramm” of the State of Saarland (Grant No. WT/2–LFFP 16/01) and the respective Universities: University of Saarland, Université de Lorraine, CITHEFOR, Nancy, France and Alex Ekwueme Federal University. There are no real or potential conflicts to declare. All reported studies/experiments with human or animal subjects performed by the authors have been previously published and complied with all applicable ethical standards. Fairweather-Tait SJ, Bao Y, Broadley MR, Collings R, Ford D, Hesketh JE, et al. Selenium in human health and disease. Antioxid Redox Signal. 2011;14(7):1337–83. https://doi.org/10.1089/ars.2010.3275. Plateau P, Saveanu C, Lestini R, Dauplais M, Decourty L, Jacquier A, et al. Exposure to selenomethionine causes selenocysteine misincorporation and protein aggregation in Saccharomyces cerevisiae. Sci Rep. 2017;7:44761. https://doi.org/10.1038/srep44761. Avery CJ, Hoffmann RP. Selenium, selenoproteins, and immunity. Nutrients. 2018;10(9). https://doi.org/10.3390/nu10091203. Álvarez-Pérez M, Ali W, Marć MA, Handzlik J, Domínguez-Álvarez E. Selenides and diselenides: a review of their anticancer and chemopreventive activity. Molecules (Basel, Switzerland). 2018;23(3):628. https://doi.org/10.3390/molecules23030628. •• Yamashita Y, Yamashita M. Identification of a novel selenium-containing compound, selenoneine, as the predominant chemical form of organic selenium in the blood of bluefin tuna. J Biol Chem. 2010;285(24):18134–8. https://doi.org/10.1074/jbc.C110.106377. The following references were highlighted due to their important contribution to the discovery of selenoneine and the prime scientific investigations that have added up to the current knowledge surrounding this selenium derivative. •• Yamashita Y, Yabu T, Yamashita M. Discovery of the strong antioxidant selenoneine in tuna and selenium redox metabolism. World J Biol Chem. 2010;1(5):144–50. https://doi.org/10.4331/wjbc.v1.i5.144. • Hagmar L, Persson-Moschos M, Akesson B, Schutz A. Plasma levels of selenium, selenoprotein P and glutathione peroxidase and their correlations to fish intake and serum levels of thyrotropin and thyroid hormones: a study on Latvian fish consumers. Eur J Clin Nutr. 1998;52(11):796–800. https://doi.org/10.1007/0-306-47466-2_74. The following references were highlighted due to their important contribution to the discovery of selenoneine and the prime scientific investigations that have added up to the current knowledge surrounding this selenium derivative. • Song H, Leninger M, Lee N, Liu P. Regioselectivity of the oxidative C-S bond formation in ergothioneine and ovothiol biosyntheses. Org Lett. 2013;15(18):4854–7. https://doi.org/10.1021/ol402275t. The following references were highlighted due to their important contribution to the discovery of selenoneine and the prime scientific investigations that have added up to the current knowledge surrounding this selenium derivative. Health NIo. Dietary Supplement Fact Sheet: Selenium. 2009. http://ods.od.nih.gov/factsheets/selenium.asp. •• Yamashita M, Yamashita Y, Ando T, Wakamiya J, Akiba S. Identification and determination of selenoneine, 2-selenyl-N α, N α, N α-trimethyl-L-histidine, as the major organic selenium in blood cells in a fish-eating population on remote Japanese Islands. Biol Trace Elem Res. 2013;156(1–3):36–44. https://doi.org/10.1007/s12011-013-9846-x. The following references were highlighted due to their important contribution to the discovery of selenoneine and the prime scientific investigations that have added up to the current knowledge surrounding this selenium derivative. •• Yamashita M, Yamashita Y, Suzuki T, Kani Y, Mizusawa N, Imamura S, et al. Selenoneine, a novel selenium-containing compound, mediates detoxification mechanisms against methylmercury accumulation and toxicity in zebrafish embryo. Mar Biotechnol (NY). 2013;15(5):559–70. https://doi.org/10.1007/s10126-013-9508-1. The following references were highlighted due to their important contribution to the discovery of selenoneine and the prime scientific investigations that have added up to the current knowledge surrounding this selenium derivative. •• Masuda J, Umemura C, Yokozawa M, Yamauchi K, Seko T, Yamashita M, et al. Dietary supplementation of selenoneine-containing tuna dark muscle extract effectively reduces pathology of experimental colorectal cancers in mice. Nutrients. 2018;10(10):1380. https://doi.org/10.3390/nu10101380. The following references were highlighted due to their important contribution to the discovery of selenoneine and the prime scientific investigations that have added up to the current knowledge surrounding this selenium derivative. Masuda J, Shigehiro T, Matsumoto T, Satoh A, Mizutani A, Umemura C, et al. Cytokine expression and macrophage localization in xenograft and allograft tumor models stimulated with lipopolysaccharide. Int J Mol Sci. 2018;19(4). https://doi.org/10.3390/ijms19041261. Corzo CA, Cotter MJ, Cheng P, Cheng F, Kusmartsev S, Sotomayor E, et al. Mechanism regulating reactive oxygen species in tumor-induced myeloid-derived suppressor cells. J Immunol. 2009;182(9):5693–701. https://doi.org/10.4049/jimmunol.0900092. •• Yamashita Y, Amlund H, Suzuki T, Hara T, Hossain MA, Yabu T, et al. Selenoneine, total selenium, and total mercury content in the muscle of fishes. Fish Sci. 2011;77(4):679–86. https://doi.org/10.1007/s12562-011-0360-9. The following references were highlighted due to their important contribution to the discovery of selenoneine and the prime scientific investigations that have added up to the current knowledge surrounding this selenium derivative. Suzuki T, Hongo T, Ohba T, Kobayashi K, Imai H, Ishida H, et al. The relation of dietary selenium to erythrocyte and plasma selenium concentrations in Japanese college women. Nutr Res. 1989;9(8):839–48. https://doi.org/10.1016/S0271-5317(89)80029-6. •• Pluskal T, Ueno M, Yanagida M. Genetic and metabolomic dissection of the ergothioneine and selenoneine biosynthetic pathway in the fission yeast, S. pombe, and construction of an overproduction system. PloS one. 2014:9(5):e97774-e. https://doi.org/10.1371/journal.pone.0097774. The following references were highlighted due to their important contribution to the discovery of selenoneine and the prime scientific investigations that have added up to the current knowledge surrounding this selenium derivative.